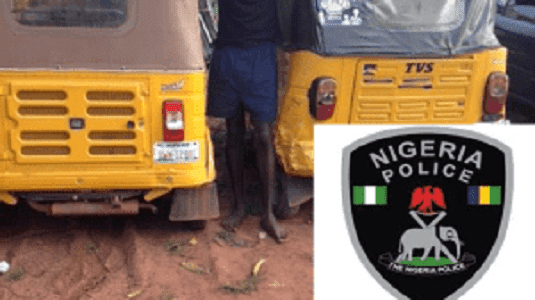 An onitsha based man narrated his story and sought for public opinion after when his Tricycle (Keke) stolen by a thief and police refused to hand it over to him after it was recovered. Please guys, I need your suggestions and opinions on this. I reside in onitsha and here goes my story. I bought a keke and gave it to a young guy on hire purchase. Unfortunately, the keke was stolen the same Sunday that the guy I gave it to - drove it home. Its a brand new keke. I went to the police to make entry about the stolen keke. After about a week, I got a call from some police guys at Enugu state police command, that I should come down to Enugu state - as my keke was found somewhere in Nsukka. The police guys demanded that I come with 50k to 'bail out' the keke. Luckily for me, the keke was found same way it was stolen and also, the thief was caught too. I sourced for money and went down to Enugu to bail out the recovered keke. After parting with 30k, I was handed over the keke and was asked to go to obosi station to write and sign that the keke has been found. The police guys from Enugu drove the suspect down to obosi (anambra state). According to them, that's the jurisdiction where the keke was stolen. On getting to Obosi station, the police there demanded for some money and I told them that I had nothing left on me after parting away with 30k for the Enugu police guys. Next thing they did was that they decided to seize the keke, saying it will be "charged to court with the suspect". My question is; Arent the police suppose to hand over a recovered property to a victim of theft? What do I do? I am very confused now as to next action to take.